Ancestor Archaeology: "We Found You New Ancestors - Just By Looking At Your DNA!" "We Found You New Ancestors - Just By Looking At Your DNA!" That is the bold cry from my AncestryDNA page. "Now your DNA can tell you something that was never before possible" Ancestry proudly declares in a recent email. "Go back as far as the 1700's in an instant through your AncestryDNA test". How do they do it, you ask? 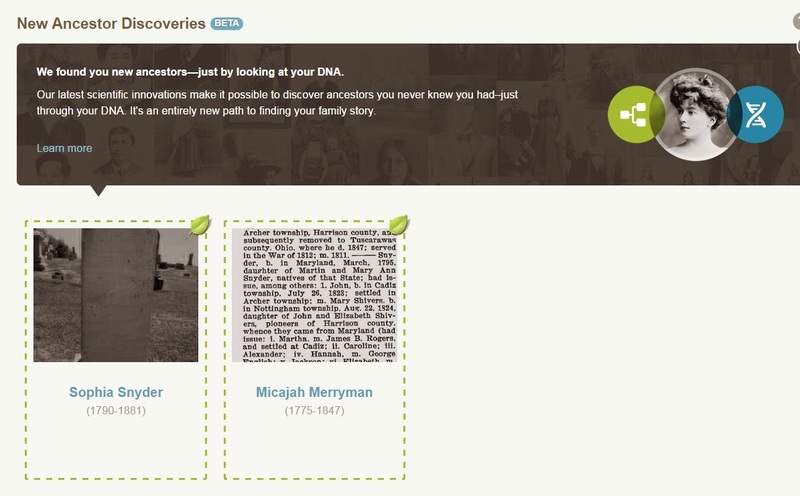 "New Ancestor Discoveries are made through a unique combination of AncestryDNA results and the millions of family trees shared by Ancestry members". You mean those PUBLIC and frequently unsourced Family Trees? Hmm. Something is just not right here. This is a HUGE can of worms just waiting to be opened. Michael John Neill tells us in his brilliant blog post All You Need Is Spit that you can now "find ancestors from the past using just a DNA test, no genealogy research is required" Yup. NO research required. None. Zip. You though it was easy to go back to Adam and Eve in an afternoon before? Well now. This just does not seem responsible to me. If you are going to supply the tools you have some sort of obligation to supply instructions for use. And warnings. My particular experience with this newfound wonder of science is completely incorrect. But I would never know this if I hadn't done the research. The hard research. The digging in books, writing letters, waiting for replies, hitting brick walls research. This particular "match" I spent over two years trying to prove before getting the proof I needed to disprove it. But here it is. Presented to me proudly by AncestryDNA as a "new ancestor". Sophia Snyder and Micajah Merryman have been declared on dozens of Public Trees on Ancestry as the parents of Anna Merriman, my third great grandmother. I wrote about her here. 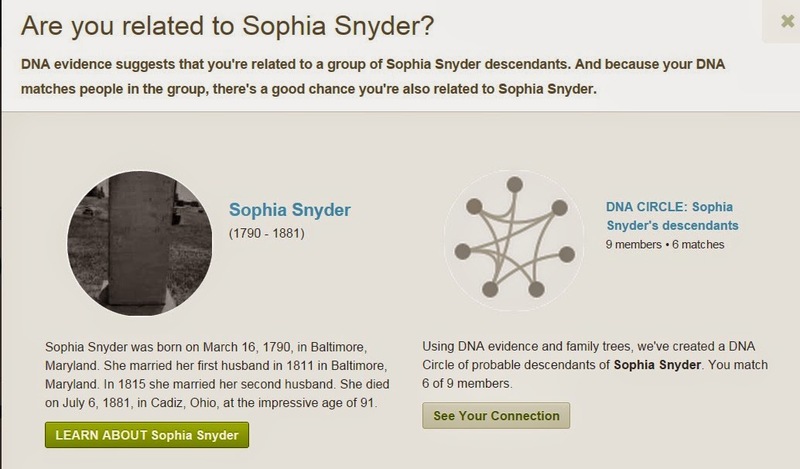 I am NOT related to Sophia Snyder. Or Micajah Merryman. And I have done the research to prove it. The 6 of 9 members I match more than likely have Anna Merriman as our common ancestor. And, they are Public trees. Certainly unsourced. Obviously unresearched. No I am not in any circles. Circles would require me to have a Public tree on Ancestry. While I appreciate and understand the importance of a good sourced Public tree, mine has more than a few wild theoretical branches. I would not be practicing responsible genealogy if I allowed that to see the light of day. The few public trees I do have on Ancestry are sourced and proved. Available for all to see. But I do not have my DNA linked to them (you can only have DNA linked to one tree at a time). DNA is just another research tool. Another source to glean information. The results are only as good as the information it is being compared to. GIGO, as Michael John Neill reminds us: Garbage in, Garbage out. And be careful out there!